Do you shop on Amazon.com? Did you know that Amazon will donate a portion of all your purchases to Red Rocks? All you have to do is go to www.smile.amazon.com instead of Amazon.com. Select Red Rocks Elementary School as your charity and 0.5% of all your purchases will go to our school. It doesn’t cost you anything extra and you can use your existing Amazon or Amazon Prime account. Remember that if you’re filling your cart from your mobile Amazon app, simply open up smile.amazon.com in a browser before checking out to have your purchases qualify for donation. 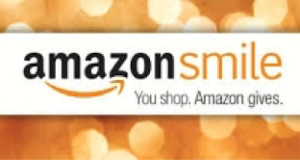 Please bookmark the new Smile.Amazon.com web address and help us spread the word! Happy Shopping! Everyone needs groceries and gas, so why not let a percentage of that bill benefit the Red Rocks PTA? RRPTA currently has both King Soopers and Safeway reloadable gift cards for sale. This is an easy way to help our PTA raise needed funds for various programs supporting our children and school. 1. PURCHASE: King Soopers and Safeway reloadable gift cards can be purchased for $5 by returning the order form in your child’s folder, dropping the order form to the office, or speaking with Laurel Drachenberg directly any day before or after school. Cards will be returned in your child’s folder. Cards are preloaded with $5, and as long as they carry a balance the cards remain active. Please contact Laurel at laureldrach@gmail.com or call/text at 303-988-9699. 2. LOAD: Once you have the reloadable card, ask the cashier or customer service desk to load your gift card with whatever dollar amount you specify. You can load the card by using cash, credit / debit card or a check. You can reload your card indefinitely at either the register or the Customer Service Desk for any amount up to $500. You must load the card PRIOR to scanning groceries or pumping gas. However, if you forget to load it before the cashier begins scanning your groceries, ask the cashier to suspend the order once the groceries are scanned, then load the card and use it to pay (this takes just a few moments). 3. USE: Once your groceries are scanned or gas pumped, remember to use your gift card to pay. As long as your card carries a balance it will remain active. After a couple of months with a zero balance the card will be no longer be valid. 4. EARN: King Soopers and Safeway donate 5% of whatever you load on your gift card to Red Rocks. No need to do anything else! Occasionally during the school year we will partner with nearby restaurants for a fundraiser night at their establishment. Typically Red Rocks will earn a percentage of the profits made during the fundraiser. This is an easy way to help support our school… after all, everyone has to eat! So take the night off from cooking and help support our school at the same time!